New research published December 30 in the journal, Proceedings of the National Academy of Sciences, suggest that mangroves are rapidly pushing north along the Florida coastlines where it had once been too cold to grow. The study is pointing at global warming for this development. The research was led by Kyle Cavanaugh, an ecologist at the Smithsonian Environmental Research Center. He and his colleagues looked at 28 years of Landsat satellite images from 1984 to 2011 to document the mangrove spread. Mangroves had historically dominated the Florida shoreline south of Cocoa Beach and the salt marshes dominated north of St. Augustine. However, the scientists found that in a zone of 24,000 acres capable of hosting either type of plant mangroves took over some 4,200 acres. The scientists dismissed possible explanations, including sea level rise and a gradual rise in average temperatures. Instead they pointed to another climate change factor, a decrease in the number of hard freezes. Some see the spread of the mangroves as a positive thing as they serve as spawning grounds and nurseries for fish and as habitat for an array of organisms. But they are also displacing salt marshes that are also ecologically valuable. 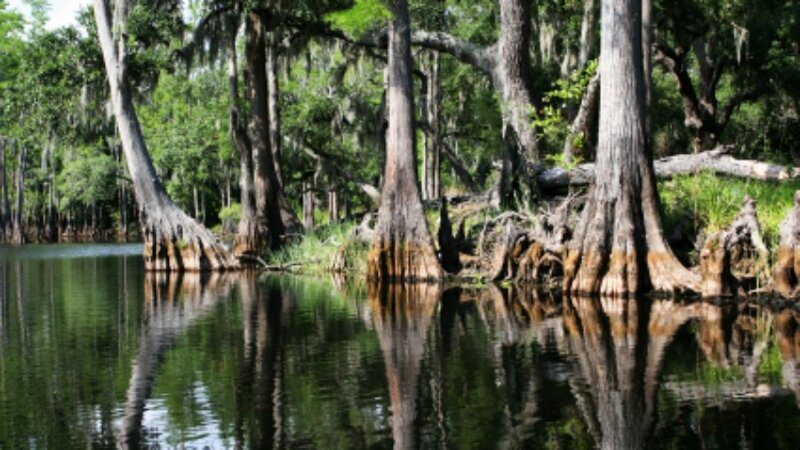 Kyle Cavanaugh and his team said they are investigating that as well as mangrove movement in other parts of the world, starting with Florida’s Gulf Coast.